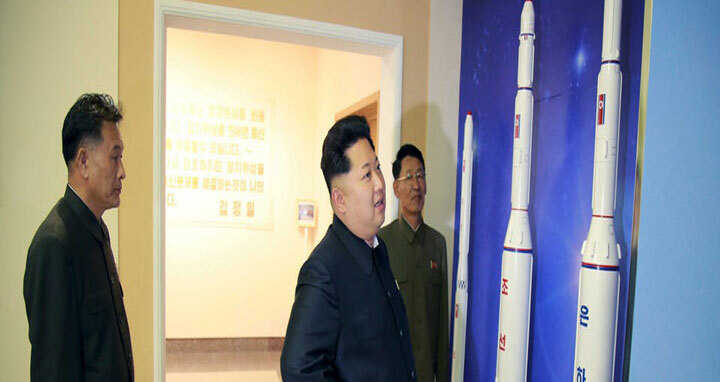 Buck Sexton: North Korea claims it is now part of the thermonuclear club, after successfully testing on Sunday a miniaturized hydrogen bomb capable of fitting on an intercontinental ballistic missile (ICBM). Assuming the reports are true, the North’s most recent nuclear detonation wasn’t just another test on a growing list of Kim Jong Un's provocations. It was a major escalation in the nuclear face-off on the Korean peninsula. The world’s most belligerent rogue state going from fission to fusion weapons is ominous to say the least. Top U.S. national security officials appear to believe this time is different, and time is running short. Usually North Korea discussions sound like one long repetition of foreign policy cliches that always end in “no good options.” But in the aftermath of the most recent nuclear test, U.S. Ambassador to the United Nations Nikki Haley slipped in a somewhat stunning statement to the Security Council. She said that North Korea is “begging for war.” This point deserves immediate attention. What if one U.S. administration after another has been miscalculating the Kim dynasty’s capacity for long-term strategy? What if war is exactly what Kim Jong Un wants and is waiting for? There is a sobering case to be made that Kim isn’t just saber rattling for concessions from the international community, and it grows with each nuclear test. And while Kim increases his capability to turn a U.S. city into a smoldering, irradiated mass grave, we cannot afford to allow the same foreign policy groupthink to dominate the conversation. One thing that’s abundantly clear — what we’ve been doing hasn’t worked. So why would the Kim regime actually desire a major conflict? North Korea’s dedication to nuclear missiles tells us a lot about Kim’s bellicose intentions. There is nothing we can offer to make him abandon his nuclear arsenal. To be sure, nukes provide geopolitical status for a regime whose entire legitimacy rests on military power. As a dictator known to assassinate rivals with antiaircraft guns, Kim knows that nuclear weapons are the ultimate symbol of brute force. And they essentially eliminate any prospective military intervention into North Korea. But North Korea doesn’t need nukes to prevent regime change. It currently holds South Korea hostage with conventional artillery that can be fired from north of the DMZ. Assessments of initial casualties from such a barrage are staggering and easily run into the tens of thousands in the first hours of hostilities. To put it simply, North Korea is not Iraq or Libya, even without any nuclear weapons in the picture. So, it’s about more than regime survival. Nukes also provide strategic leverage for Kim’s long game against South Korea. He can stall for time with negotiations now, build up his nuclear weapons capabilities, and wait for the day when South Korea can ultimately be attacked and overrun. Assuming Kim is a rational actor, he would have to avoid igniting massive American retaliation with such a strike. One of the only ways of achieving this would be to threaten nuclear retaliation against Tokyo or L.A., in an attempt to force us to abandon our allies in South Korea. That’s when nukes would become essential. And that may be why the Kims have been willing to pay such a high price for them over many years. With a U.S. military presence of over 30,000 troops stationed in South Korea, this is not a realistic option for Kim today. If the North inflicted casualties on American soldiers under any circumstances, the response, to borrow from Secretary of Defense James Mattis, would be “annihilation.” Nobody seriously questions that. But the cataclysmic struggle on the Korean peninsula could be years away. Perhaps Kim is waiting for the U.S. to finally withdraw its forces, or preparing for some pretext to take limited military action across the DMZ. An advantage of autocracy is that election cycles don't matter. The Kim dynasty has been able to dictate a strategy and pursue it for decades with a single-minded determination. Time is on their side. This is also further reason to believe that nothing the U.S. is considering will change the long-term outlook on the Korean peninsula. If war is North Korea’s goal, diplomacy is just glorified delay. Sanctions may get tighter, but they have shown no signs of imploding the so-called “hermit kingdom” for over a decade. Regime change absent a massive invasion force is a think tank fantasy. Negotiations with the international community just look like concessions to those calling the shots in Pyongyang. In the meantime, the security situation will only deteriorate. Kim’s nukes will become more devastating, his missiles more accurate and longer-range. And the U.S. and its allies will be left clinging to the hope that a fratricidal 33-year-old totalitarian ruler of a deeply xenophobic country with over a million active soldiers is, when push comes to shove, a rational actor. Or at least more rational than his grandfather, Kim Il Sung, who decided on a massive sneak attack against South Korea in 1950 despite its status as a U.S. ally and the existence of our vast nuclear arsenal. Total casualties in that war reached into the millions. Let’s hope Kim Jong Un won’t start a war everyone else knows he can’t win.